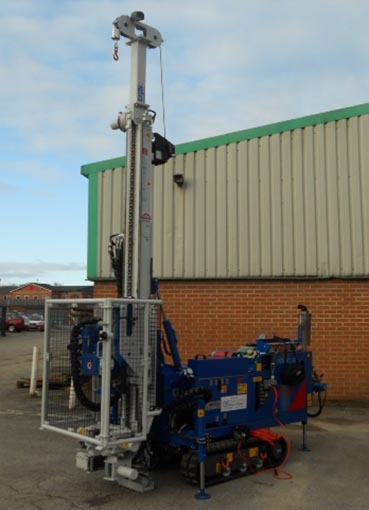 The GEO 205 is a lightweight, compact and versatile hydraulic drilling rig, mounted on a rubber crawler, it is suitable for soil investigations, corings and environmental drilling. The machine is ideal for restricted access and low headroom locations. It can operate all rotary drilling systems, D.T.H. hammers, coring and rotary percussive equipment. The GEO205 is capable of towing via trailer and Land Rover type vehicles. Individual specifications of GEO 205s available for hire can be found below.